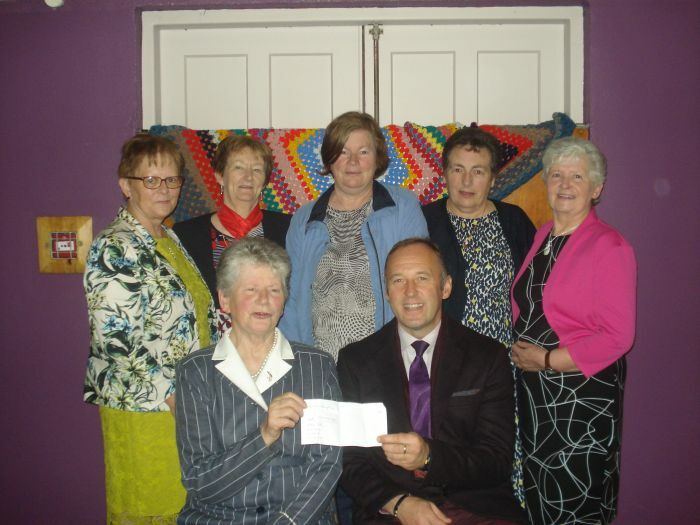 ELPHIN DIOCESE OF APOSTOLIC WORK. 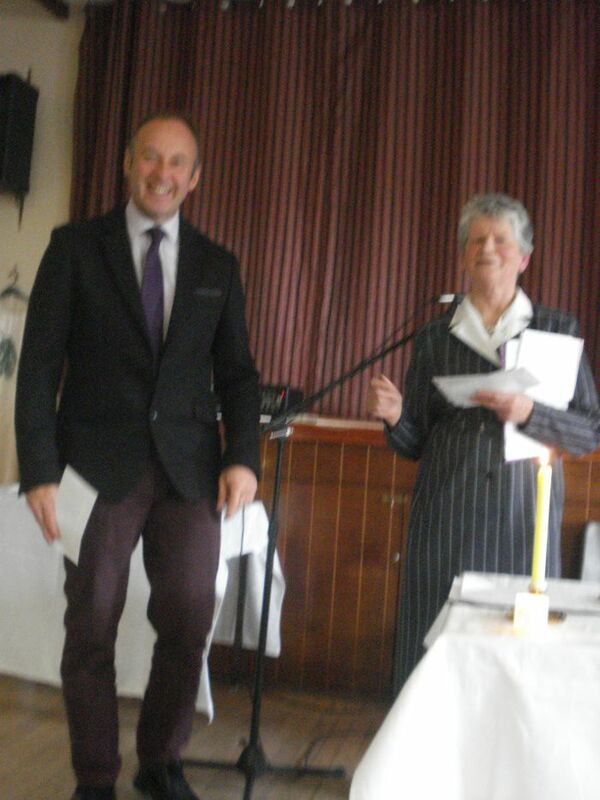 Here in Elphin Diocese most of the Branches of Apostolic Work are located towards the Southern end of the Diocese and in close proximity to Divine Word Missionaries at Donamon Castle, Roscommon, and we have always had good Missionary contact with them, so it came as no surprise last July when a lady who helps organises the Annual Family Day at the Castle approached Apostolic Work with an idea she had. Fr Norman Davitt, SVD would be celebrating 70 years as a Priest on 15th August, and presentations would be made to him on the Family Day by people/organisations from the local area. Fr Norman was born in Birmingham in 1921 and was ordained a priest in Techny, USA on 15th August 1947. 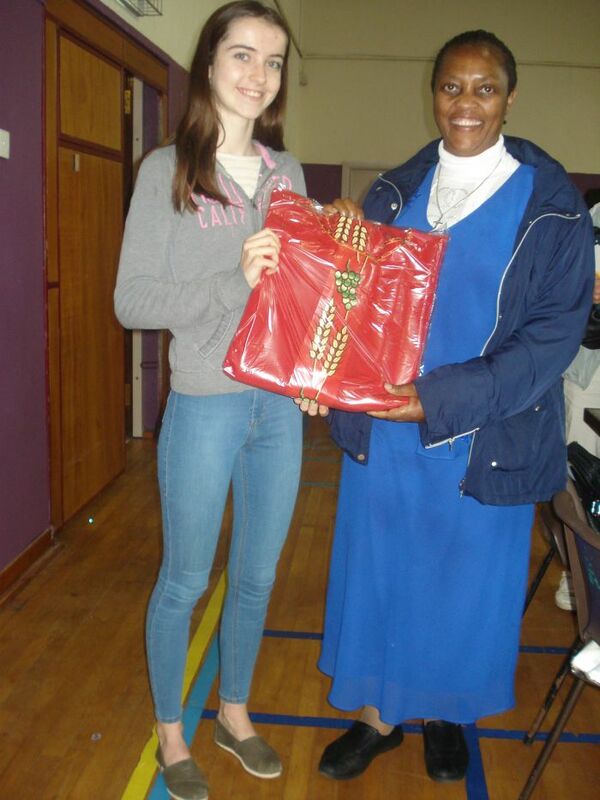 When Mary approached us she had the idea of having a knitting group in Donamon on Family Day knitting a centimetre for every mile he travelled, but we thought about it and decided to knit a flag for every country he had lived in over his lifetime! 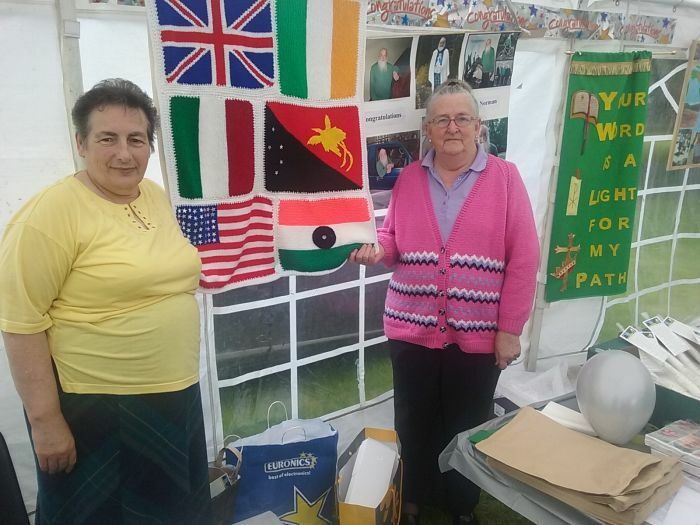 Hence 2 ladies commenced knitting flags, England – his birthplace, Ireland – his home now, USA- where he did final Theology and Ordination, India – 8 years Missionary Work, Italy – Further study and Papua New Guinea – 9 years Missionary Work. 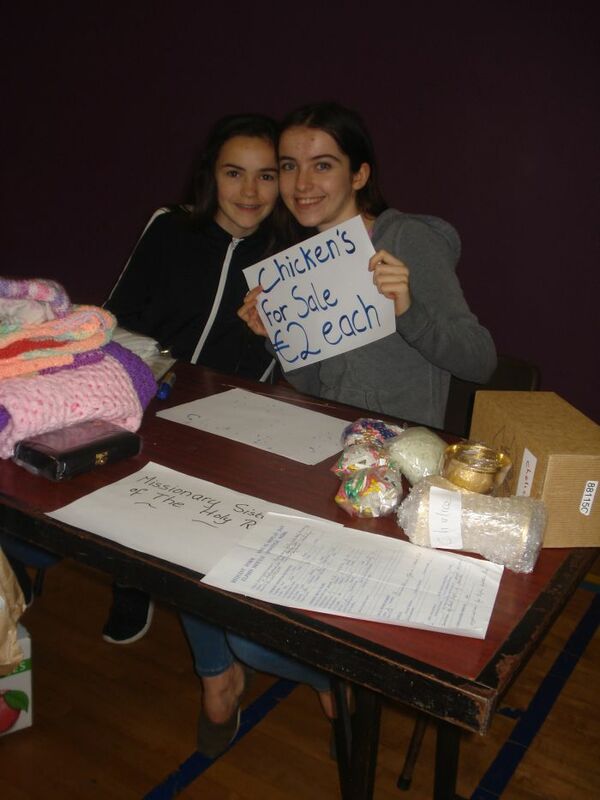 Having completed the flags they were Crocheted together to form a wall hanging/small rug. 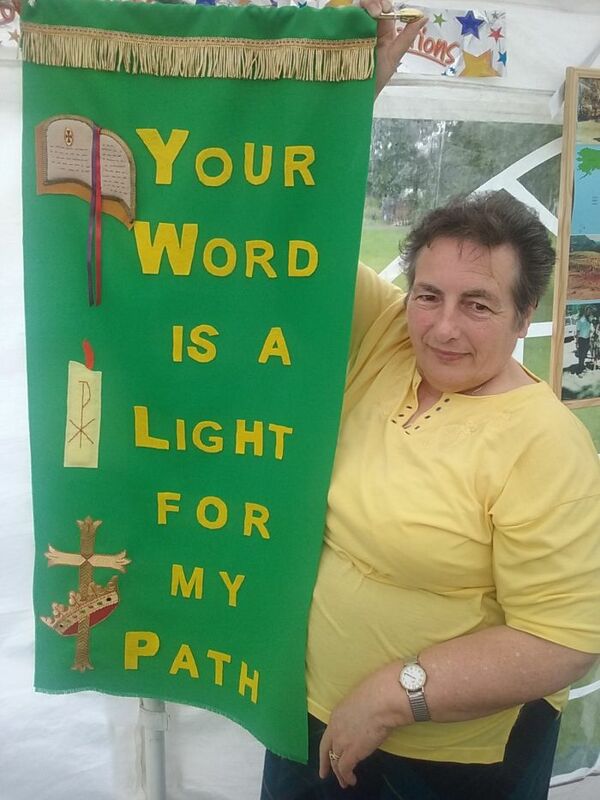 Fr Norman was delighted with his most unusual gift, but Apostolic Work also put together a Lectern Fall, with the wording “Your Word is a Light for My Path” which now hangs in the Church in Donamon Castle. 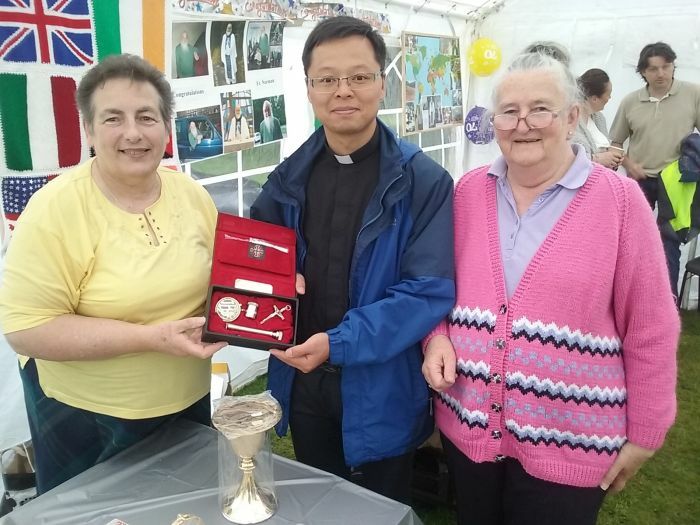 On the Family Day a young Chinese recently ordained SVD Priest was present and we presented him with a Sick Call set, which he was thrilled to receive.